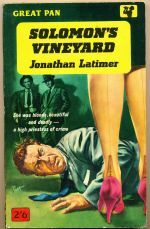 A manipulative financier is killed with a sword whose blade has been coated with molasses and cyanide. 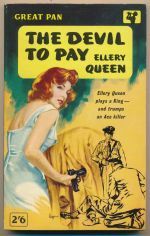 The fourteenth book in the Ellery Queen series. (In)famous for being banned in the US for the directness of its content. 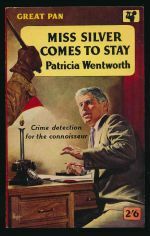 A nurse suspects her employer of attempting to murder his wife. 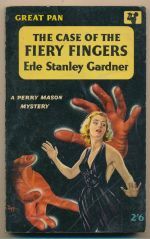 The thirty-seventh book in the Perry Mason series. Bond gambles for high stakes with Le Chiffre. 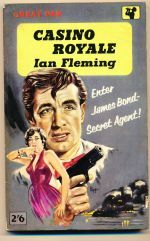 The first book in The James Bond series. 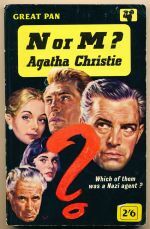 N and M were two of Hitler's most trusted agents. 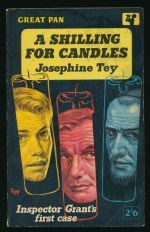 The third book in the Tommy and Tuppence series.